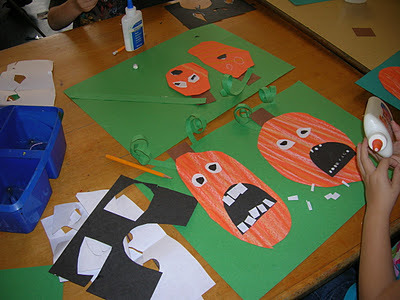 First graders just made these silly pumpkin faces using oil pastels and cut paper. It was a great project to practice drawing and cutting shapes and using scissors and glue! 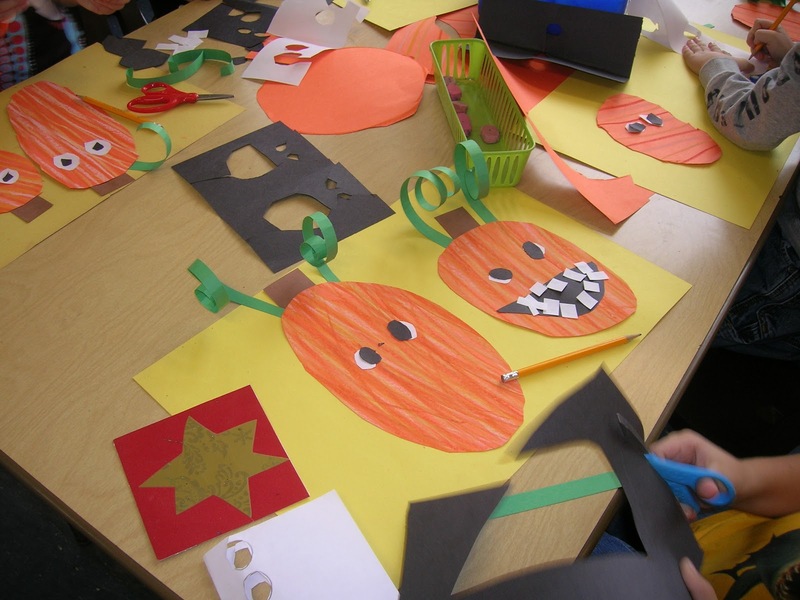 It was cute to see the range of expressions the children came up with! we are doing something very similar in first grade right now! i will post some this afternoon--i just LOVE them! gotta try these -- i love the teeth! I have been an elementary art teacher for eight years at a school in Southeast Michigan. I was also an art teacher at our local art museum, where I learned the best practices from so many wonderful art teachers. Before I arrived at my elementary school, the district had never had elementary art! I love filling that halls with the work my students so proudly create. I get lost in other blogs like Deep Space Sparkle and Painted Paper, so I decided to share some of my own ideas here! A Starry Night - From Twinkl. 2010 by Megan Swartz. Please do not use or copy images without permission. Watermark theme. Powered by Blogger.